By targeting the muscles responsible for creating frown lines and crow’s feet, BOTOX® smooths the skin of the forehead to create a youthful, natural appearance. Pali MediSpa in Kailua, Hawaii, offers BOTOX treatment. 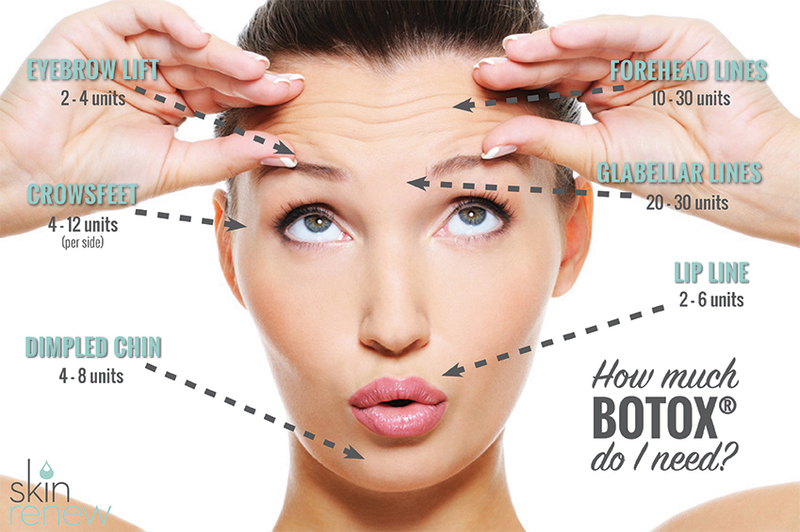 BOTOX is an affordable, convenient way to battle aging without taking drastic measures. Everybody wants a happy, fulfilling life filled with smiles and laughter, but nobody wants the deep smile lines or “parentheses” that result. The qualified healthcare professionals at Pali MediSpa in Kailua, Hawaii, use JUVÉDERM® XC and JUVÉDERM VOLUMA® XC to treat deep smile lines and restore the volume of the skin. Call the offices today to schedule an appointment. "...In the end Dr. Moore delivered our daughter and I can't say enough praise about her." "... I had Dr. Moore, she was also very friendly..."
"She's hands down the best woman's dr on this island. I will never trust anyone else!" "Being a new patient at the new Kapolei office has been a great experience." "...She saved my life twice, practically. Once at birth and now as an adult. Thank you!" "Dr. Susan Chapman never gave up on me and found the solution for my medical issues..."
"I don't always write reviews, but I love everything about Pali Womens..."
"Love love love Pali! All the midwives are knowledgeable and polite." "The receptionist is very helpful. The staff is efficient and fast." "I had Dr. chapman my first visit, very nice and professional." "I love this place. All the front desk staff are very friendly..."
BOTOX Cosmetic is injected into the muscles used to squint and frown to temporary relax these muscles and prevent contraction. It results in a visible smoothing of the lines on the forehead, between the brows, and beside the eyes. Is it obvious to others that a patient has received BOTOX injections? Patients should request to see a provider’s qualifications and portfolio before moving forward with an appointment. BOTOX injections may be uncomfortable or minimally painful. Most patients describe the sensation as a minor prick, like that experienced when blood is drawn. Doctors at Pali MediSpa use ice or topical anesthesia for patients who are concerned about discomfort, but most patients don’t require these measures. While the treatment process itself only takes 5-15 minutes, the appointment generally takes 20-30 minutes to allow for preparation, questions, explanation, and discussion. BOTOX is a quick, convenient treatment. How long do the results of a single treatment last? In most cases, the results of BOTOX last 3-4 months. Once patients get on a regular routine, they learn how long they can expect their results to last. First time BOTOX patients often see the results start to wane in the 2-3 month range, while regular patients may have results that last up to 5 months. Patients can maintain the appearance they desire by scheduling their next appointment before leaving the office. The first noticeable results appear approximately 2 days after BOTOX injection and peak around the 2-week mark. Is there any downtime after BOTOX injections? Injection sites may be reddened and slightly raised immediately after treatment, so most patients schedule their appointment in a way that allows them to go home afterward. However, there’s no downtime after BOTOX treatment; patients can return to work and regularly scheduled activities immediately. JUVÉDERM is a gel filler that’s injected to fill out the skin. This “filling out” smooths deep smile lines and creates a fuller, more youthful appearance. What is the difference between JUVÉDERM XC and JUVÉDERM Voluma XC? JUVÉDERM XC is designed to fill out smile lines, while JUVÉDERM Voluma XC fills in hollow or sunken cheeks caused by age and sometimes weight loss. The trained and experienced doctors at Pali MediSpa offer both services to patients. Unlike other cosmetic treatments, JUVÉDERM lasts up to 1 full year after the desired effect is achieved. Some patients require only 1 treatment while others may need 2-3 treatments to achieve the effect they’re hoping for. Like most injections, JUVÉDERM may produce slight discomfort that feels like a small pinch when injected. While most patients describe JUVÉDERM as mild-to-moderately uncomfortable, the doctors at Pali MediSpa offer local anesthetic to patients who are concerned about pain, discomfort, or have a hard time with needles or injections. How long does JUVÉDERM take? JUVÉDERM injections generally take around 15 minutes. However, the full appointment generally takes slightly longer as medical history and treatment goals are discussed. JUVÉDERM is a quick, outpatient treatment that is easily accommodated in busy schedules. There is no downtime following a JUVÉDERM treatment so patients are able to return to work and activities immediately. JUVÉDERM is safe and effective for patients with dark complexion as well as those with fair complexion, making it a universal solution. Results following JUVÉDERM injections last as long as a year, which means patients aren’t inconvenienced monthly or quarterly for additional treatments. Results help improve confidence and self-image. Physicians trained in the administration of JUVÉDERM and specializing in cosmetic procedures can administer JUVÉDERM. The staff at Pali MediSpa are both trained and extensively experienced in the safe and effective administration of JUVÉDERM. We accept most insurances. Please call the office for any questions regarding insurance! "My doctor was Dr. Friedlander and she performed the NovaSure endometrial ablation. I couldn't have been happier with the results." "Everyone is so nice and efficient. I am the girl that hates going to the doctors but I seriously love coming here! Thank you!" "Dr. Moore delivered my son via emergency cesarean due to a prolapsed cord. So grateful everyone was prepared and well trained! They saved my son's life." "No mater how busy the clinic was, everyone always greeted us with a smile on their face and the doctors would spend as much time as we needed to answer our questions..."
"The medical assistants, are always so friendly...I highly recommend this clinic to any female who is looking for outstanding customer service. Great job Pali women!" "Dr. Chapman is a brilliant, detailed doctor. I learned more about my body in my first visit with her, then I had in my last 20 years with other doctors..."
"Many doctors misdiagnosed me or simply ignored my plea...Dr. Susan Chapman never gave up on me and found the solution for my medical issues. This woman is amazing!" "If you're looking for a skilled surgeon she's your doctor! She removed my massive fibroids through a large incision in my abdomen..."
"I was pregnant & began having some complications. Dr. Allison Moore, at Pali Women immediately saw the red flags and took all necessary precautions needed..."
"Now that I am pregnant again, there was no question about which doctor I would have caring for me again, but Dr. Moore."